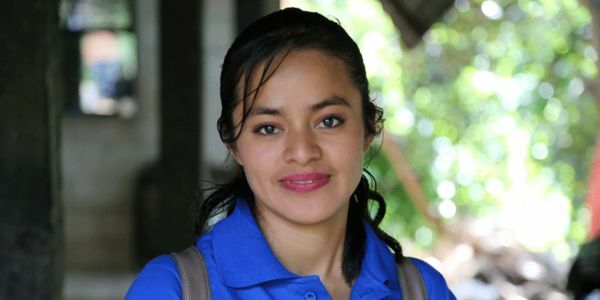 Heidy Escalante, a mobile health unit nurse, brings free or subsidized health care to women and families across rural Guatemala. As a girl, Heidy dreamed of becoming a nurse—and now she is a dream come true for thousands of people in need. Our staff and health care providers like Heidy work selflessly and tirelessly: Heidy wakes up at 4:00 every morning to delivery essential reproductive health services to women in poor, remote villages. Our mobile health unit teams provide free or subsidized, high-quality services, including contraception, and maternal and infant care to more than 20,000 people annually. Let our providers like Heidy know you support their work on behalf of those most in need. Thank you for fighting for women and girls. I'm standing beside you. Thank you for tireless and important work to bring health care services to those who need it most.